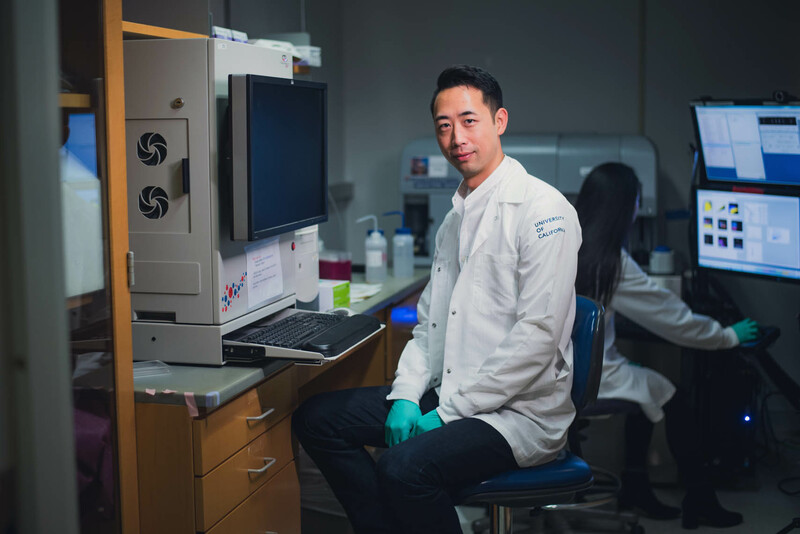 Vincent Chan, PhD is part of the ImmunoX project. Vincent manages the entire UCSF Immunoprofiler Consortium. He oversees all aspects of the consortium and actively participates in analytics and data mining. Also pictured: Joy Hsu, staff research associate.